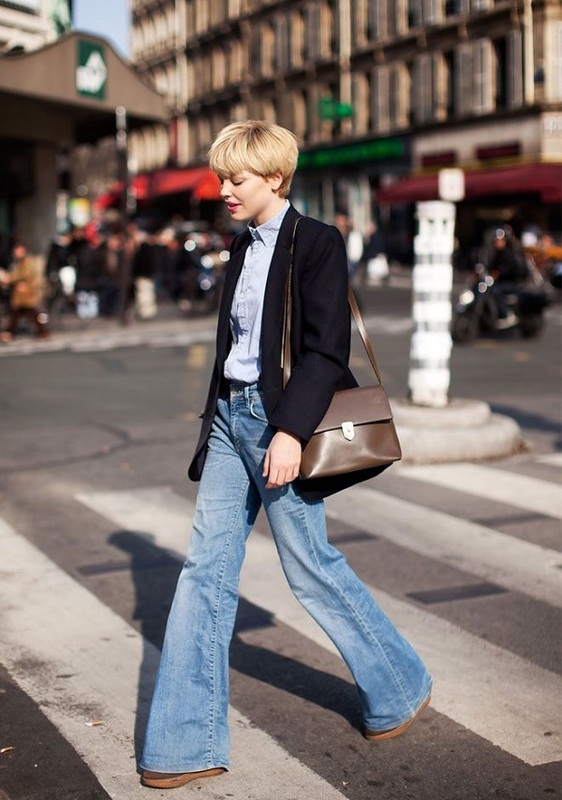 exPress-o: Bell Bottoms: Thumbs up or down? P.S: Bonus, flare pants will make your legs look long and lean. P.P.S: Playing with patterns and those wonderfully soothing winter blues. I still have mine too! They are just so cool and will keep on making an appearance in the fashion world! I like a little flare to mix up my silhouettes once in a while, I just don't like to get too 70's! ooooh, definitely a BIG THUMBS UP!!! Wouldn't mind wearing these again. I think I'm the only one who doesn't like them. Not my cup of tea, I do like the sassy black leather biker jacket that's in one of the pictures! Oh well I feel like a smahgegee, they've never come out of my rotation. I personally think they're just as much a staple as skinnies. Paired with a crisp white shirt and a structured blazer, totally timeless. It's not that I dislike it, but I don't know. Maybe I have to get used to this trend.I do like the combinations on the last two photos! They were my go-to jeans ages ago, but having already done one 70s revival in the 90s, I don't think I can do another one. I do love the more polished version, like trousers or dark washes, on people with really long legs! I am not one of them unfortunately, and I think if you have thunder thighs bell bottoms actually make it worse. If you simply have strong legs however, I'd say go for it!